Read and comment on this letter written by RPCV Kelly Moon and signed by forty recently returned RPCVs asking Director Vasquez to reconsider the rule limiting the usage of Peace Corps Career Centers to only 1 year after Completion of Service. If you are interested in supporting the change in policy to permit use of the Career Centers past one year of COS, then sign your name and leave a message below this article. I would like to thank you for your leadership and support for the Peace Corps. Your guidance shapes and leads the Peace Corps to meet its goals and ideals as a true humanitarian organization. In pursuing our goals as Returned Peace Corps Volunteers, I would like to draw your attention to the recent announcement of the Career Center move. I would like to request that you reconsider the rule limiting the usage of the career center to only 1 year after the conclusion of service. The career center has served as a home to most returned volunteers in search of jobs, career advice, residency, announcements and events. Most volunteers who use the center are beyond their one-year period after the service. The career center is not only a place of job postings and resources, but serves as an extended support for volunteers in launching their potential for this society. For most volunteers, it takes more than a year to find the right job in the right field. The first year usually serves as an adjusting period in meeting the financial and personal needs. To reduce the benefits and resources of the career center to one year will deplete most returned volunteers of the support and inspiration Peace Corps provides. The continued support from the Peace Corps Headquarters and the career center is important not only to the recently returned volunteers but also to all of us who continue to pride ourselves as returned volunteers. 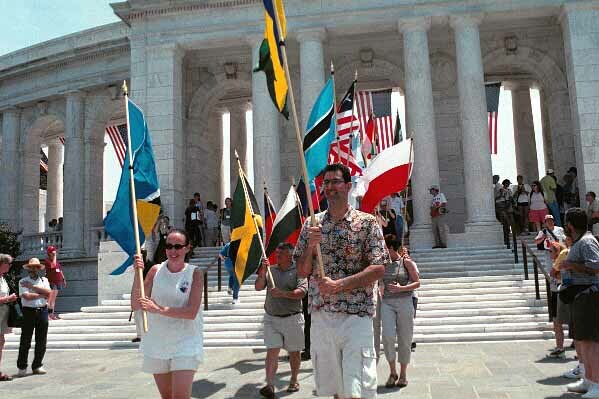 The extended support encourages us to remember the values of the Peace Corps and also what we have achieved in conjunction to the Peace Corps goals. The returned volunteers are important instruments in delivering true depths of the Peace Corps services. Although our services are over and other associations avail to certain needs, we would like to continue being a part of the Peace Corps headquarters and other regional offices. In addition, limiting the number of users will also reduce the number of job postings being circulated. We are the ones who truly represent what Peace Corps is and who can educate the public of the impact of service afar from political agenda. Please reconsider limiting the use of the career center. Your reconsideration will be much appreciated from all of us. This first year back for me has been one of trying to create financial stability for myself in order to allow myself the time I need to search for that ideal job. Though I live in Tucson now, and don't use the PC offices at this time, I can guarantee I'll continue to appreciate access to them throughout my career. The support I received there when I lived for 2.5 years in DC was instrumental. I visit the office each time I visit DC, and always learn something new and useful. I've also appreciated the camaraderie I've found there, and have had wonderful surprise reunions there! Many PCVs after they return are not in an area where there may be a career center. For example, after my service I returned to my parents� house in South Georgia, and then went to New Mexico. I was never near a PC career center. When I finally did get to Washington, it was a great resource for me. I found a roommate there and a job notice. Not that many people use the career resource. It is not like there is a waiting line to get in. It is ridiculous to pay for all those computers in there and not have that many people using them. Approximately 3000 volunteers return a year, few of them have access during that year to cities with career centers. Many PCVs travel after their service, and are not looking for a job within that year. I think being a PCV is like being in the military. Even when we are done, we should be able to participate in activities that will enhance our careers. As a PCV who was in war, then evacuated I feel like PC owes me big time. PC promises you all of these rewards upon your return, but I didn't see many. My point is once you serve as a volunteer, they should do everything possible to help you out. The announcement didn't even make provisions for those of us who returned to school after Peace Corps or a bad economy. With my one year anniversary approaching in January, I am more and more aware of this limitation! It's funny, when I got to use the center in DC, which was no small commitment considering I live in North Carolina, I thought how sad it was that there was only one � and shouldn't all the regional offices have them. Now that they do, I was ready to rejoice, but the one year time cap is a step in entirely the wrong direction. Instead of making services more available, they are only excluding RPCVs in a different, and more complete, way. Sad. I, like many, didn't get to use the career center in the first year after my COS date - I did however use it two years after my COS and was able to find a job. If we limit the use of the career center to only those volunteers who have returned within the last year, we will be limiting a great wealth of knowledge. I found the networking of RPCVs - first yearers and up - and the plethora of experiences from them to be invaluable. It will be a great shame to limit this resource. One of PCs biggest fringe benefit is the ability to travel ones's way home. We are terminated in the Country of Service so by the time we reach home, there's not much left of the year. This was true in 1977 and is apparently still true today. Surely the limitation of access to Career Centers is a backward step! I would certainly hate to see the Centers closed, since I always use the one in D.C. as I am coming and going on international assignments. It is more than just the equipment available (computers, fax, telephone), but also the ability to make personal connections with other RPCVs, look for local housing and friends, and of course follow up on job-postings. I would gladly pay to use the Career Centers if finances are the reason for this rule change--a reasonable per-day fee is something most of us could afford after the first year as an RPCV. Restricting access would hurt many of us who rely on the Centers, and I sincerely hope it will be reconsidered. Please add my name to the letter supporting opening the career centers to rpcvs returned for more than one year. Add my name to the career center expansion and use initiative. This is one of the only tangible benefits afforded returned volunteers and should be provided during the life of the RPCV. I agree that rpcvs should be able to use a career center. Many of us end up taking jobs just to pay the bills at first (especially in the current environment). It takes a lot of time to find something we envision ourselves doing for years. It would benefit us and society at large to provide us with the resources neccesary to find such positions. I've been out of the Peace Corps for five years now and I'm still looking for the right job, even after finishing two master's degrees in 2002. I really think it's important for RPCVs to have full access to the career center for as long as they need to use it. For many people, the current job market is dismal at best. If RPCVs really are appreciated for what they do as volunteers, shouldn't they at least be able to use the career center well beyond their first year home? I would like to express my support of this petition. I want to add my support to the request that RPCVs have access to the career center for more than 1 year after COS. The first year that I COSed, I was not able to use the career center because I was in graduate school at the time. Approximately a year and a half after I COSed, I needed the Career Center as I was job searching and relocating to DC. I used the Career Center and it was a great place not only to job search, prepare for interviews, etc. but to reconnect with RPCVs. The center provides a needed resource to all RPCVs and shouldn't be restricted. As someone who found current employment through a PC Job Fair, which was advertised via an email distribution list and also at the Career Center, the Career Center is an invaluable resource for all RPCVs and should be open to all of us throughout our lifetimes. The ability to use the computers, faxes, and phone lines are, I believe, not the primary reason for going to the Career Center. Rather, the networking opportunities, printed job postings, library resources, and roommate matching services are the main reasons I used the Career Center during AND after my first year after COS. If Mr. Vasquez' reasons for doing this are purely financial in nature, then charge a small fee for using the computers, faxes, and phones. This should more than cover the overhead costs for the Career Centers across the country. I too traveled my way home for 5 months after my COS date, and only began my job search in earnest in January of 2002. Had Mr. Vasquez' policy been in place at that time, I would have only had 6 months to find a job, let alone meaningful employment, during a recession. I would have made it just "under the wire" with only a month to spare. Don't limit our access to a valuable resource when we need it the most! I add my name in support of your petition. Adjustment back is HARD, especially in today's economy. I support this petition! Please add my name to the list. Although no such Career Center existed (to my knowledge) when I terminated service, I heartily support this petition. I wish there had been a center back in 1968 when I came home. I agree with the RPCV who suggested a small fee to use the facilities after the one year of free service. It is to PC's long-range advantage to have its alumni in positions of importance to advocate for its support and expansion if needed. Less money for political boondoggles-more for PC! I think it is unfair to limit use of the career centers to one year following service. Our Peace Corps experience influences us for the rest of our lives and, as such, could potentially influence us to change careers several years after service. I support this petition to allow use of the centers beyond one year following COS. It seems like a hundred years ago. After COSing from Peace Corps Philippines in 1981, I immediately started working in the Philippine Regugee Processing Center with Indochinese refugees. When I returned to the US in 1985 I immediately went to graduate school. As I remember it, in 1988 when I graduated and needed the service, I contacted the Peace Corps and was able to get on the mailing list for the Jobs Hotline. It was a terrific resource. If we are going to increase reources for volunteer mental health, we should include RPCV's in that activity. The job centers and Jobs Hotline will help. Please add my name to the petition. After leaving Guinea in 2000, I immediately began working to finance graduate school. 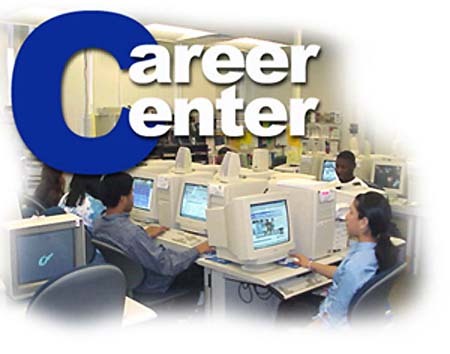 After I finish with school in 2004, I would like to be able to use the Career Center. It was of no use to me upon my return to the United States considering the circumstances... but it would be an invaluable resource once I begin my last year of graduate school. As a 20 career counselor in a 3rd world country (Idaho) I have advised many RPCVs since my service ended 35 years ago. Besides the after-service travel, many RPCVs take any job back home and end up moving, and then looking for a career position. It would be helpful for those of us in RPCV group leadership to know of the locations and functions of the Career Centers to help returnees make the necessary contact. No time limit should be attached to the use of Career Centers. Sign me to the Petition. There should be no limit to RPCV's using this resource. As it stands now, it's hard enough because the career center is only located in DC. If you don't have access to DC, you don't have access to the center. You can sign up for the Hotline but that is it. Perhaps if more RPCV's knew about and had access to this service, more companies would use it as a recruiting tool. Put my name on the petition please. I voice my support of this petition. Living 9 hours from any PC Regional Office, my opportunities to utilize the career center resources has been very limited. In fact, I have yet to require PC assistance. Still, I have taken comfort in knowing that I will have access to Peace Corps' employment resources when I move to D.C. or Boston for graduate school. It seems very poor P.R. for the organization to which I dedicated two years of my life to deny resources simply because I didn't need them the year immediately following my service. Not only was Peace Corps post-service assistance promoted during recruitment, but these centers are critical for linking volunteers with each other and with opportunities to fulfill the third part of our Peace Corps mission! I strongly urge reconsideration of the year limitation, thereby enabling RPCVs to better serve their current communities. Please add my name also to the petition. It just seems that is not feasible since most volunteers would most likely return to school then look for a job. I think it should be at least 3 if not 5 years. Please add my name to the petition regarding the Career Center. One of the beautiful things about Peace Corps is that RPCV is a lifelong title. As I was told at my Staging event, "You never leave Peace Corps service, just return from your country to the United States". It makes no sense to talk about being a lifelong member of the Peace Corps 'family' only to be kicked out of the house after a year. I support this petition, also would like to see an extension of the two year 'non-competitive' status when applying for government jobs. I voice my support for this petition. Given the state of the economy and the costs associated with controlling access to the Career Center, I voice my support for this petition. I am a returned volunteer from Turkmenistan, and I plan to move to Washington, DC this month (one year and 4 months past COS). I was depending on using the career center upon arrival to job search and network. The Career Center is an invaluable resource that many returned volunteers use effectively (and rely on) more than one year past COS.
One year is insufficient time to provide career support for RPCVs in today's economy. I support the petition to expand the time and, also, any petitions or initiatives that make these or similar services available to RPCVs located outside the career center offices. If the career centers are there to be used by RPCVs, why should there be a time limit to accessing those resources? I agree with Sherry and support the petition to expand the time as well. The centers should be open to all RPCVs. That was an experience that stays with you the rest of your life. I have used the Career Center several times since my return and it has been integral to the development of my professional career. I, like many RPCVs, traveled after my COS, and returned to the DC area a year later, knowing that I had the career center as a lifelong resource. In many ways, the center supports the cohesiveness of the RPCV community-- if this is taken away it will be detrimental to organization as a whole. RPCVs have volunteered TWO YEARS of their life and the new Director only wants to give us ONE YEAR of Career support. Unbelievable! 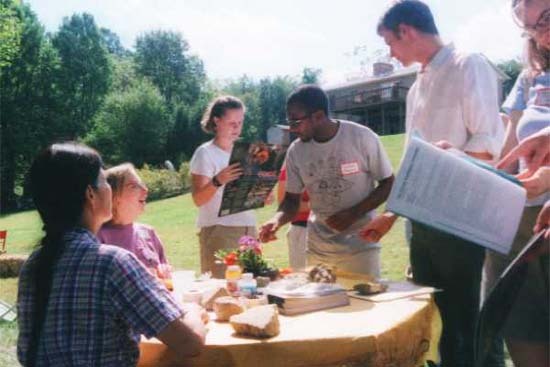 At the time that Peace Corps was created, the US Government deliberately coined the term "Returned Peace Corps Volunteer" rather than using words such as Alumni or Past volunteer. The reason behind this was that once you served you were considered a volunteer for life (i.e. the Third Goal). I am greatly disappointed that this action is being considered. At my current organization, I am always battling to bring in RPCVs, and a great lead for me is to stop into a Career Center and meet with RPCVs who are job searching. Mr. Vazquez, I emplore you to rethink this issue and listen to the valid comments that your constituents (not the political ones) are giving you. I am a returned PCV, Ivory Coast 1962-64. Over thirty years later, as I was making a career transition from teaching history at the university to a position as a museum research historian, I visited the Peace Corps Career Office in Washington. I had already applied for a job as a research historian at the Smithsonian Institution, but my application was not as strong as it should have been. The RPCV Career office manager informed me that I had the right, under federal civil service regulations, to file an amended return, which I did after she gave me some specific advice on improvement. I believe that this may well have made the difference in my success in landing the job. I have been a research historian in African American history at the National Museum of American history for the past nine years, and I am currently the co-curator for a forthcoming exhibition on the 50th anniversary of the 1954 Supreme Court decision of Brown v. Board of Education, scheduled for May, 2004. I believe that the Peace Corps Career Office has played a significant role in whatever I have been able to achieve in my career as a public historian. Please add my name to the petition. As a Global Nomad I have no specific "home". I have made the Washington, DC area my home base precisely BECAUSE OF the Career Center. After International ventures I return to the DC area and I rely heavily on the Career Center to help me find housing and the next job, not to mention my PCV friends. Once I'm on my feet, I'm on to the next adventure. I wouldn't have a home base without the Career Center & that's a fact! I know there are many RPCVs who've made DC their home base and Peace Corps their family. Please don't desert us, your "children"! Please don't turn this into a thanks-for-your-service-have-a-nice-life agenda. As RPCVs, we continually provide the best and cheapest promotion of Peace Corps. Long-term access to the PC Career Centers is a meaningful (and cheap) token of appreciation for our continued service. (Since you're new to PC maybe you'll want to reread the Third Goal to see what I and many other RPCVs are talking about). I strongly support this initiative. Having served in 1997 and entered the DC area in 2002, I am proof that not all RPCVs come to DC immediately following their Peace Corps service. I spent time at home in CA for a year and then served as a Peace Corps Fellow while obtaining my Master's degree in International Development. Upon graduating, I viewed the DC Career Center as an ideal place to locate jobs in the field throough the RPCV network, and to identify jobs posted by RPCVs seeking RPCVs. As a result of my visit to the DC Career Center, I am now back in the international development field utilizing my language and field experience as a Deputy Program Manager for Latin America. Should I or any other RPCV have a use for locating a position in this rapidly changing field, I feel the Career Center is the best resource. By limiting its use to only recently returned RPCVs, it inadvertently results in a smaller RPCV network, a lower caliber of applicants, and fewer job postings. I urge you to reconsider this detrimental decision. LIke many listed above, I'm confused by this new decision. There are so many exhortations for us to continue our Peace Corps service years after returning from our countries of service. We're expected (and quite willingly do so) return the gift of our years of overseas service, so why can't Peace Corps see fit to support us beyond a mere 365 days? We've given so much more to the world, to the U.S. and certainly to Peace Corps that I'd think we'd need a bit more support than this short-sighted policy. As many listed above, I too have been abroad for many years following my initial Peace Corps service and would like to know that the organization I've supported so wholeheartedly for so many years might be there to offer me some assistance when I return to the U.S. I find it rather sad that this would even be questioned. Please do reconsider. Oh!, hold on Gad-boy, I will grab for the "boot strap" to pull myself into the job market. Ridiculious. There is also another reason he is doing this. Past experiences of volunteers are powerful to volunteers who are newly returned. They don't want them organizing together. That's why in my opinion. Though I have many negative experiences with Peace Corps including the use of this lounge or career center, this benefit has helped me in my life. It helped me get an opportunity with an AID consulting firm. Since he wants to cut back on the third goal of Peace Corps. Why don't volunteers go to Congress. Present our case through the NPCA and get funding for them to have the career center. It is my belief that the National Peace Corps Association would be a more appropriate place for it anyway. Provide a bigger budget with real career resources without discrimination. However, I still think the present career center should have all volunteer access and be better funded. Hey scrooge, just because you did not serve in Peace Corps, "Lazy Bones", doesn't mean you should take away our benefits. See "your squad" in New Hampshire. I am sure a Howard Dean's staff will provide the right benefits. Please keep the career center open. I suddenly find my company bankrupt 30 years after my Peace Corps Service. I need all the resources I can get! I've been back over ten years now. I'm a science teacher. I needed to get my feet on the ground and feel fully confident in my teaching before I was ready to again venture off again, this time hopefully to train other teachers. Not to mention getting family affairs in order. It is important to me to be able to use the PC Career Center to get the new connections back into the development field. Please don't limit it to just the first year. I just moved to Washington, DC on January 13, 2003. It has been 1 year and 5 months since my COS date. I was seriously disheartened to hear that the Peace Corps closed the career center to me one week before my arrival. I was planning on using the office as a main source of job information and connection to other RPCVs. Please don't withdraw this service from people like me or any other volunteer no matter how long they have been out of service. Please add my name to those supporting the petition. As with all others here, please add my name in support of the petition. I have not yet had the pleasure of using the services provided by the Career Center but should it happen then this will have been worthwhile--if the policy changes. Miss you! been looking for you for a long time I hope this message finds you well. your email did not work?